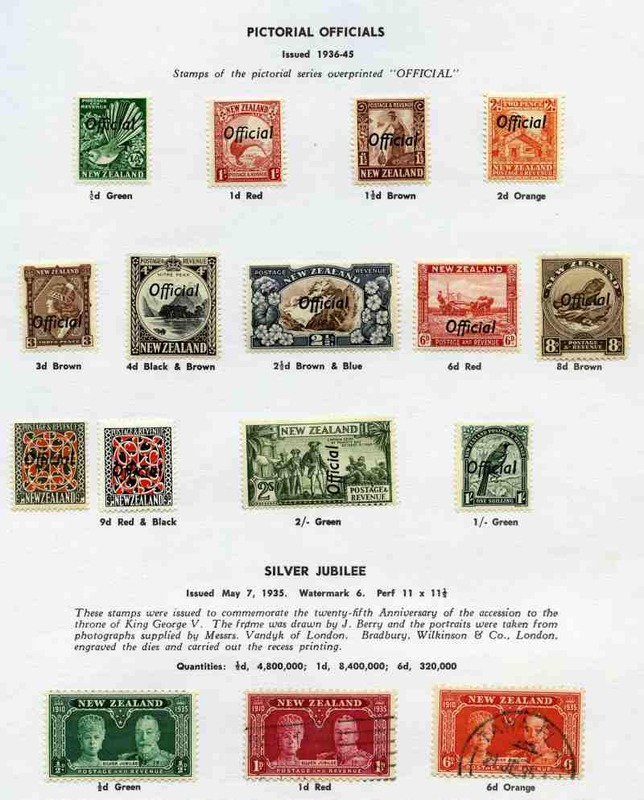 Comprehensive collection of good to fine used stamps from 1898 to 1984, including many better items in Seven Seas Standard album. 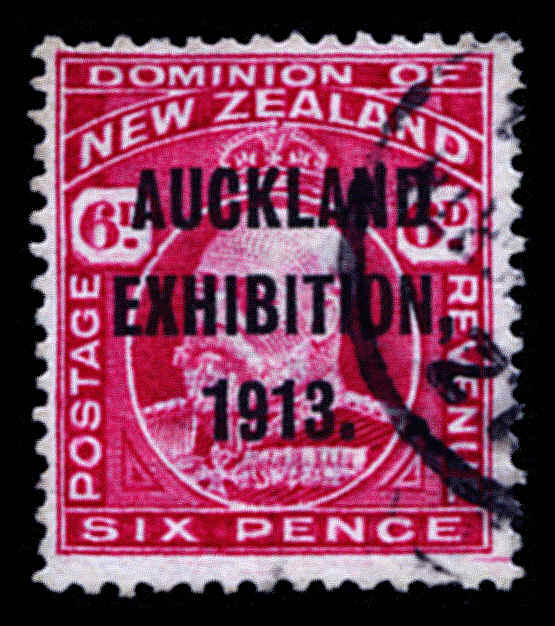 Noted 1898-1907 Pictorial Definitive set, 1906 Christchurch Exhibition set, 1907-08 Pictorial Definitive set O/P Official, Victoria Land 1908 1d Universal Postage O/P King Edward VII Land, 1910-16 KEVII O/P Official set, 1913 Auckland Exhibition set, 1915-25 KGV O/P Official set (8d with thin), 1920 Victory set, 1925 Dunedin Exhibition set, 1928 2/- Admiral O/P Official, 1929 1d Nurse, 1930 1d Nurse, 1931 Smiling Boys set (2d with tiny thin spot), 1931 Airmail set, 1932 1d Hygeia, 1933 1d Pathway, 1934 7d Trans-Tasman Airmail and largely complete simplified from 1935 Definitive set onwards, including 1958 2d on 1½d QEII with error overprint on incorrect stamp with stars. Odd fault, but generally fine condition. Very high retail value. 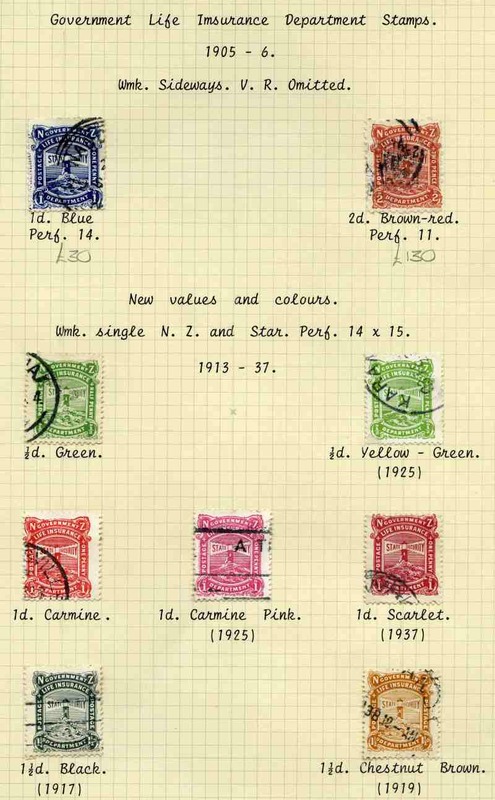 Complete mint collection from 1953 Coronation set to 1991 Christmas set, including all Health miniature sheets, 1958 2d on 1½d QEII with error overprint on incorrect stamp with stars, Lighthouse and Ross Dependency issues, mainly on Seven Seas Hingeless pages in 2 binders. Excludes 1986 Frama set only. 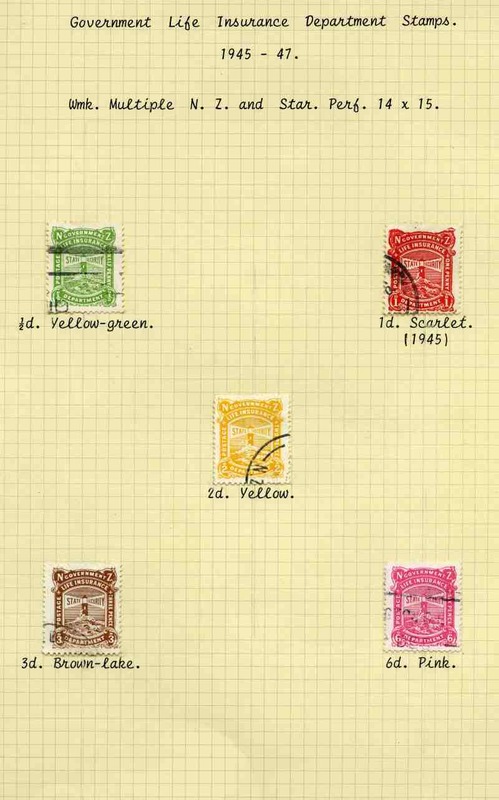 1953-57 QEII Definitive set, 1959, 1963, 1964 and 1968 Health M/S and some lesser items MLH, otherwise MUH. 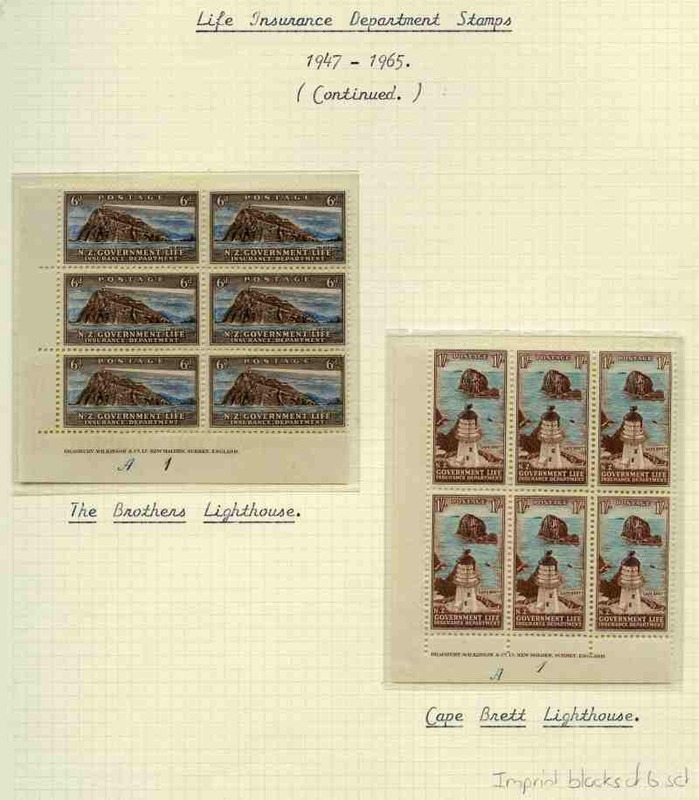 Also Tokelau Islands complete MLH collection from 1948 Definitive set to 1992 Columbus set, several later sets MUH. 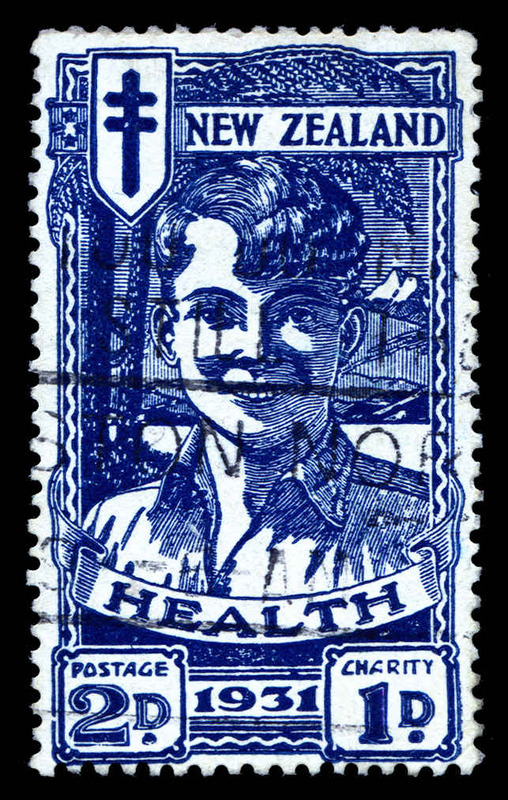 Complete set of Health M/S from 1957 to 1974, excluding 1958 and 1961, plus 1960, 1963, 1966, 1968, 1969, 1970, 1972 and 1973 Health M/S sets VFU. Accumulation of 260 used $1.00, $1.10, $1.20 and $1.50 high value commemorative stamps on paper from 1990's to 2000's with varying duplication, plus 1993 $1.50 Dinosaur CTO with Wanganui cancel (40). 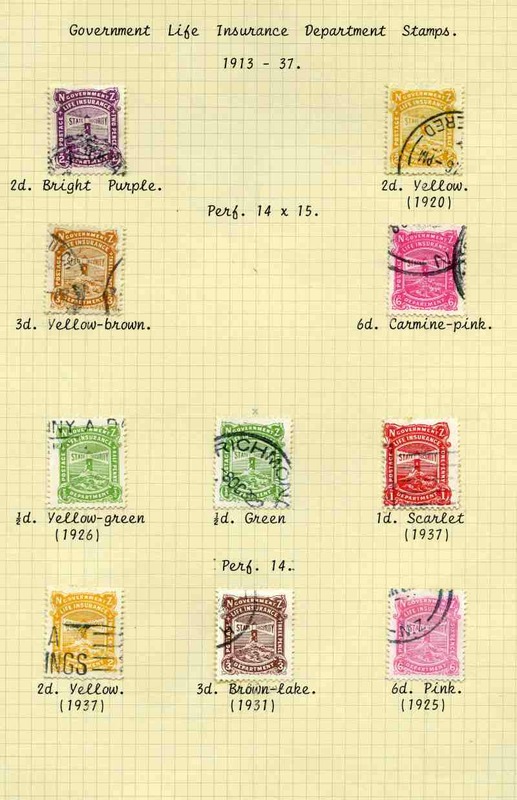 Collection of MUH and fine used stamps from 1933 to 1996, including 1953-59 QEII Definitive set MUH, 1960-66 Definitive set MUH and largely complete MUH Decimal collection from 1967-68 Definitive set onwards. Odd early item MLH. 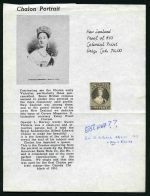 Face value of MUH Decimal issues NZ$720.00. 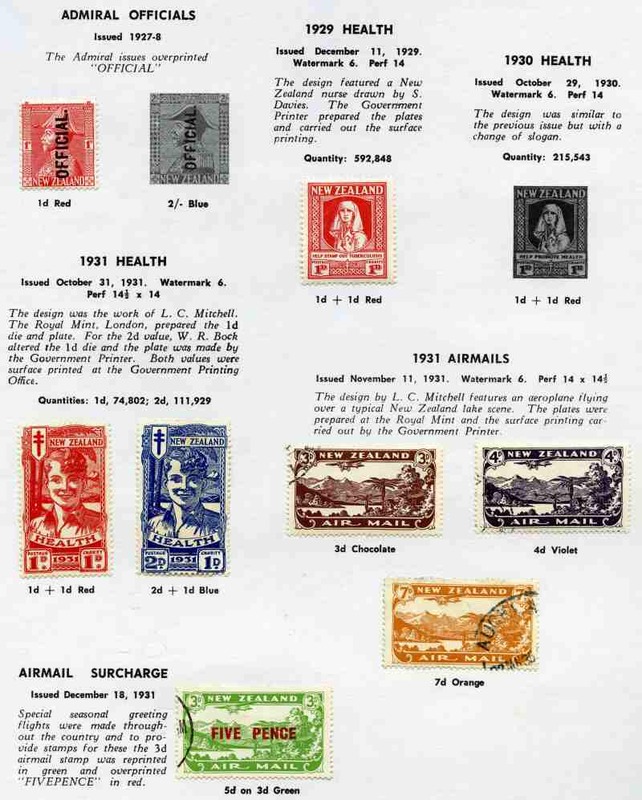 Collection of MUH stamps and miniature sheets from 1971 to 2012 including odd duplicate. 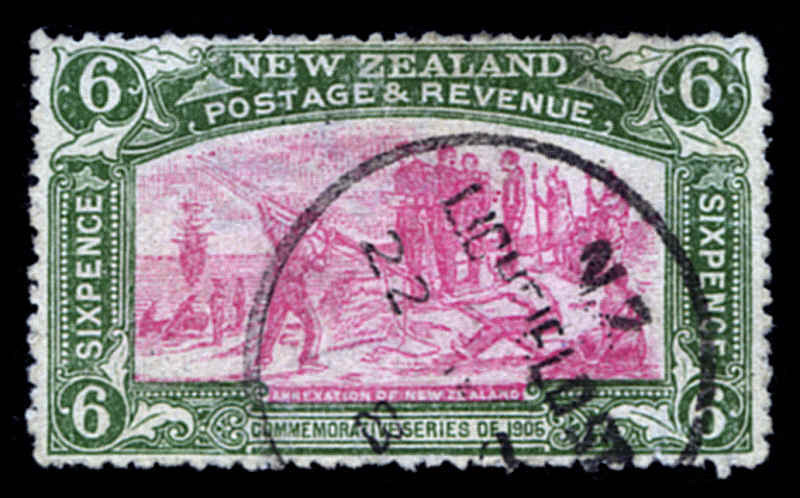 Face Value NZ$2,132.00. Complete set of Post Office Year albums from 1984 to 1999 without outer plastic wrappers. 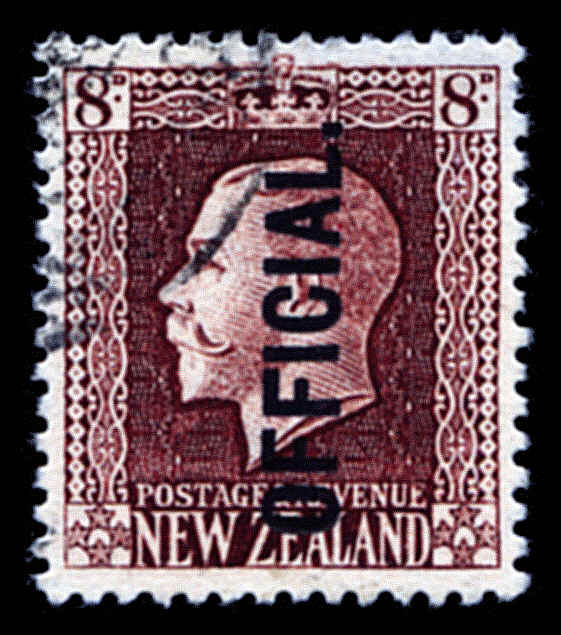 Face Value NZ$792.00. Collection of presentation packs from 1985 to 1999. 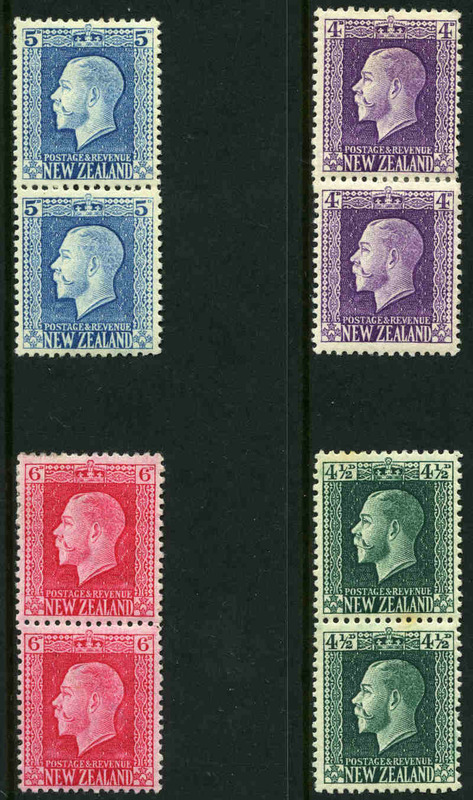 Face Value NZ$704.00. 1987, 1988 and 1989 Year Albums, plus a range of collector packs and presentation packs. 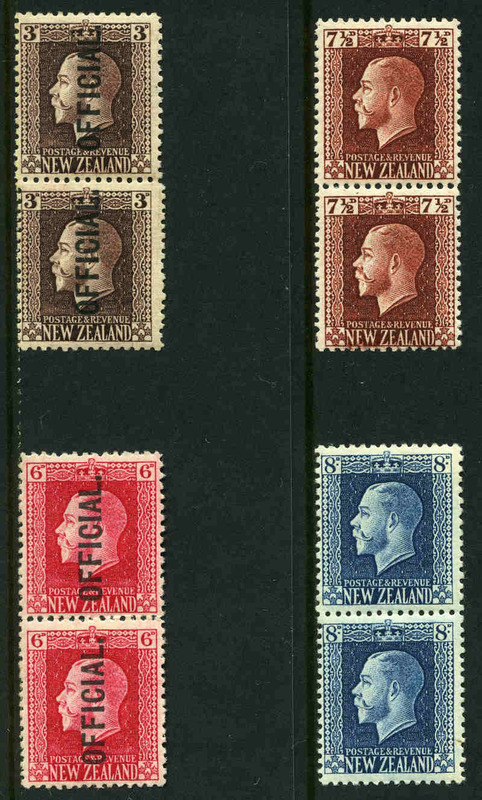 Face Value NZ$214.00. 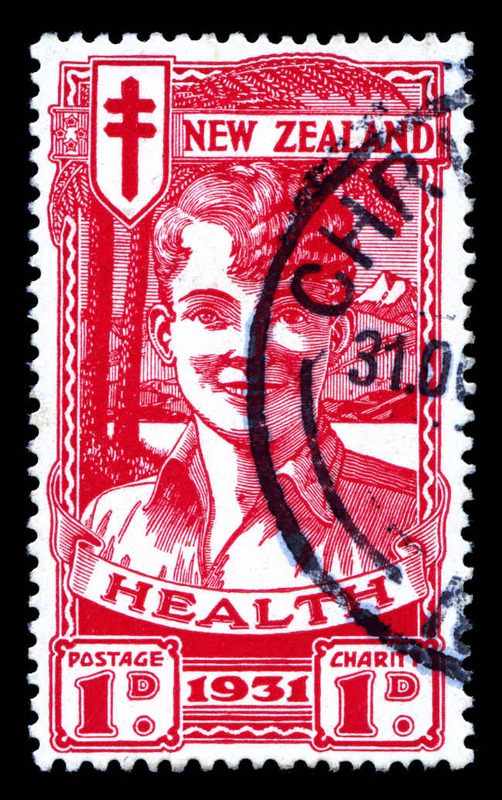 1987 Airforce and National Parks M/S O/P Capex 87 MUH. (15 of each). Retail $300.00. 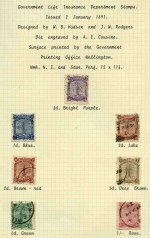 Collection of MUH, MLH and used Life Insurance issues from 1891 to 1981 including many sets and highly catalogued items, plus 3 covers on annotated album pages, in loose leaf album. 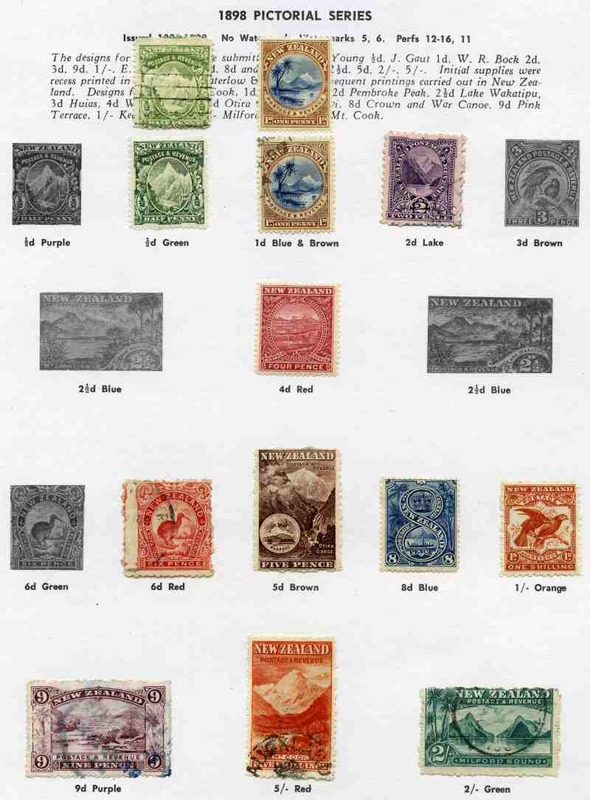 Noted 1891-98 perf 12 x 11½ "VR" Lighthouse set GU, 1905 2d "VR" omitted perf 11 Lighthouse GU, 1913-19 "De La Rue" paper Lighthouse set MLH, 1925-31 "Cowan" paper perf 14 Lighthouse set MLH, 1947-65 Lighthouse set in imprint corner blocks of 6 MUH/MLH and 1967-68 Lighthouse set in MUH imprint corner blocks of 6. Mainly fine condition. 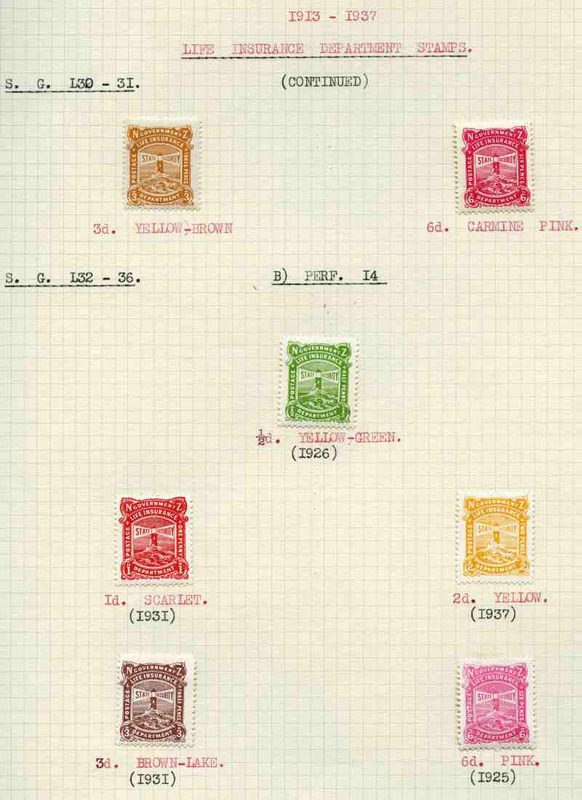 Also range of mint and used stamps from early to modern in large Chinese stockbook. 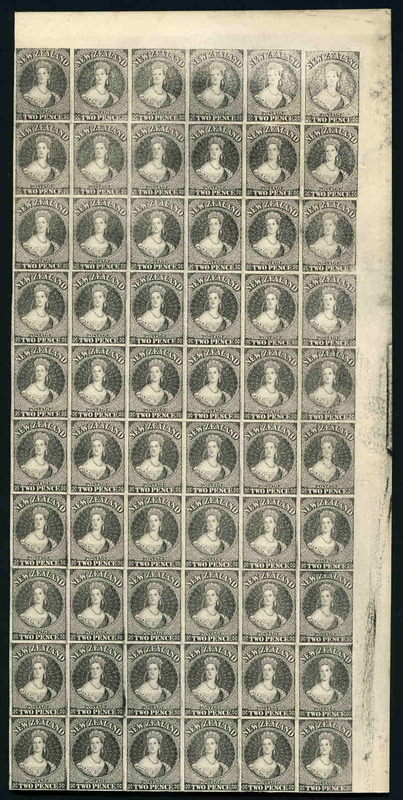 Accumulation of MUH stamps, miniature sheets and booklets from 1967 to 2002, including many sets and varying duplication. 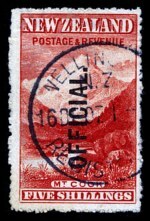 Face Value NZ$1,239.00. 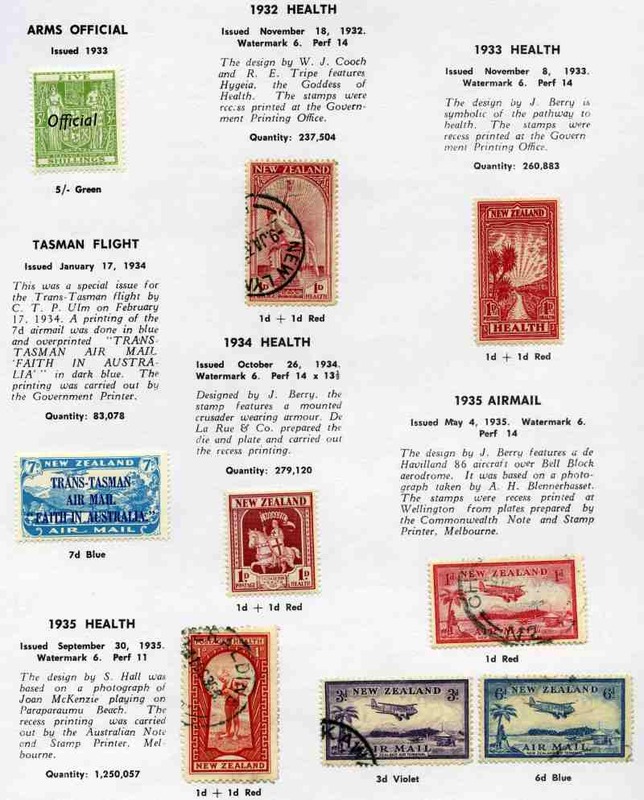 Collection of mint and used stamps from 1873 to 1994 on Seven Seas pages in loose leaf album and 3 binders, including a handy range of early issues and complete set of Health miniature sheets from 1957 to 1983. 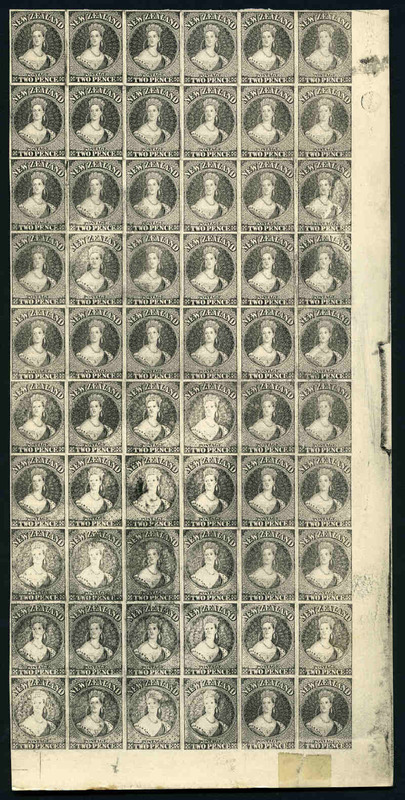 Majority MLH from QEII period onwards, with many Decimal issues MUH. 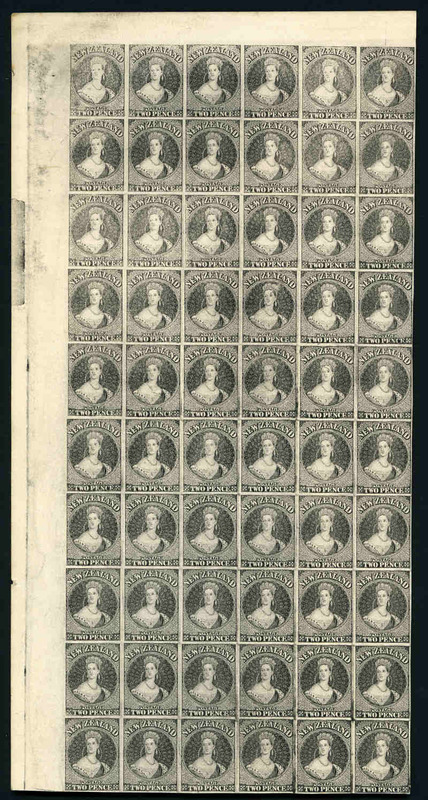 Some duplication and a few faults. 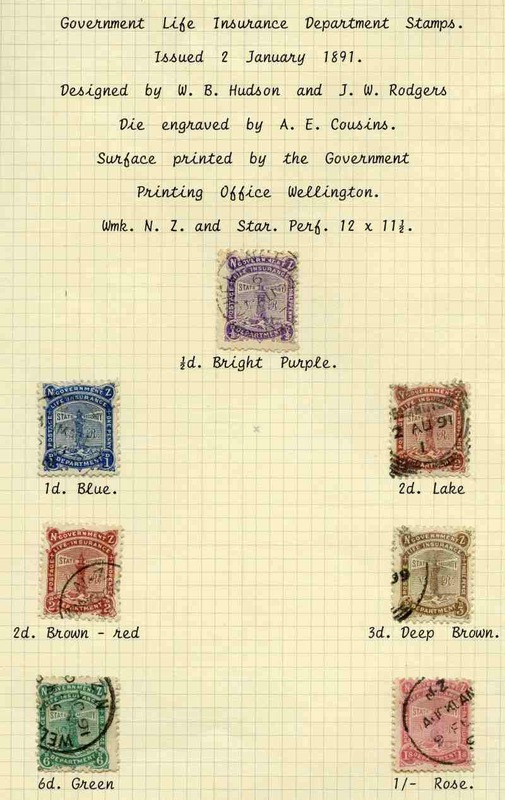 Accumulation of tens of thousands of used Pre-Decimal and Decimal stamps off paper, sorted into packets, plus off paper mixture in shoebox. 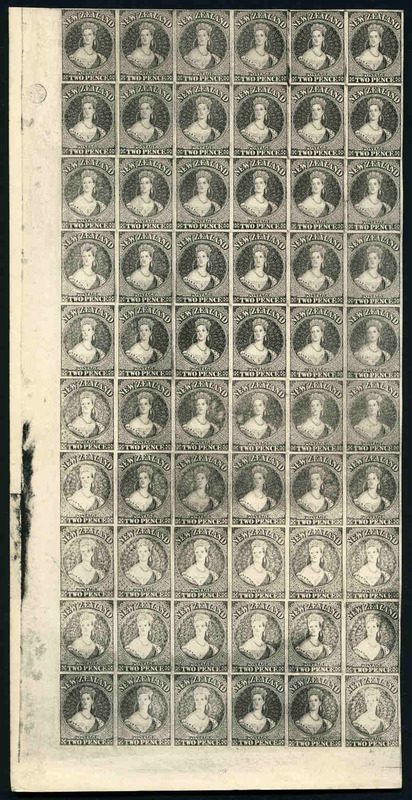 Some heavy duplication.